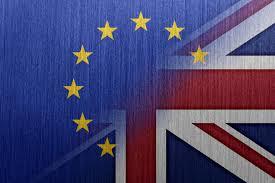 The British government is in denial, to think that being difficult, petulant and downright stubborn will make getting a good agreement on trade with the European Union (EU) post Brexit, more probable. The Prime Minister, Theresa May, is making the most of former Tory chancellor Ken Clarke’s description her last year, wearing it as a badge of honour even. It plays into her general election strategy of appearing as tough to negotiate with, strong and stable government etc, etc. Taking a hard line in Cabinet with ministerial colleagues though is one thing, negotiating with the EU commission and with 27 other countries stood behind them, is quite another. In Cabinet discussions a compromise outcome may have to be made, but with the Brexit negotiations this does not need to happen. We have triggered Article 50 to formally begin our exit from the EU, and there is a time limit now on our staying, which is less than two years. When the two years are up, unless the EU countries agree to an extension to the period, the UK is out of the Union, deal or no deal. Time therefore is on the EU’s side, which was the intention when putting in place a process for a nation leaving the EU. There looks to be a general willingness to come to some sort of agreement on not reintroducing a hard border in Ireland, and to having some reciprocal agreement on the rights of EU citizen’s living in the UK and UK citizen’s living in the EU. But, with the British government seemingly not prepared to seriously talk about settling up our financial commitments, talks on a trade deal will not even begin. Even with this kind of limited agreement, there will be legal complexities on how this is implemented and how legal disputes are settled, as Helena Kennedy QC, points out in an excellent piece in The Guardian today. Whether such an agreement can be reached, with the UK saying it wants to remove the jurisdiction of the European Court of Justice, is open to doubt, but this is the relatively easy bit of the negotiations. Given that the CETA trade deal between Canada and the EU, runs to thousands of words and took seven years to negotiate, without any of the complex issues surrounding Brexit, we could well get no deal in the two years available here. The hard line Brexit loons in the government make light of the fact that if we don’t get a bespoke deal to our liking on trade we can fall back on World Trade Organisation (WTO) rules. This is of course true, but it is far from ideal, and certainly a long way from the arrangements we have today. So, far from the stability that Theresa May says she will bring to the country, it is a recipe for chaos and instability, economic impoverishment and a loss of soft power in Europe and the wider world. And all for what? The government itself has admitted that immigration may have to go up after Brexit, with less investment in the country, and with less jobs to go around, high inflation, falling wages and hitherto unnecessary restrictions on our freedom of movement within Europe. Today's unhelpful comments from the Prime Minister, about the EU meddling in UK politics, may play well domestically, but will harden attitudes in the EU. Does this sound like strong and stable leadership to you, or a reckless gamble with the nation’s fortunes? I know what I think.